LOVE IS IN THE AIR & I'M EXPECTING SOME EXTRAORDINARY TINY TOTS! Pacifica & Valentino's 3 little ones arrived on March 8th - 2 Girls and 1 Boy! These little ones are on hold for our waiting list until they are 6 - 8 weeks old. ​​ If you are interested in our puppies please fill out the Puppy Application. A Little Love Note From Linda! My husband and I are thrilled with our puppies Nitro, 8months, and Ruby, 10 months, who we adopted from Kim Schwindt (Tiny Tot Shih-Tzu). They are happy, healthy and absolutely the most beautiful dogs my husband and I have ever seen. She guarantees their health and when I took them to their first veterinarian appointment, my vet was truly impressed with the health records that Kim sent and the general quality of the dogs. Ruby and Nitro are little "rock stars" and people always want to give them attention. They are sturdy little dogs and were easy to house train. They are very smart. Ruby and Nitro have added so much joy to our lives. My husband comments daily that he cannot imagine life without them. We regularly hear from Kim who is anxious to hear about our "children". They are still members of her family. We send her pictures of them all the time. 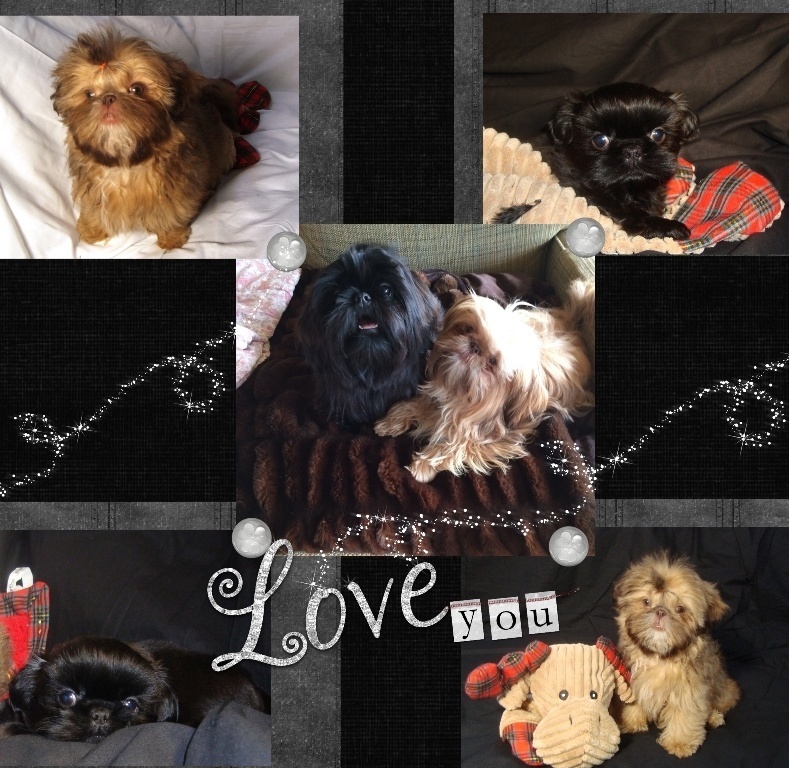 Ruby & Nitro are being loved, spoiled, and adored by The Groen Family in Kentucky!